When it comes to top-quality vaping oils that are both tasty and rich in CBD, there are few brands out there today that manage to offer products as tempting and fun as those made by Entourage. Based in Denver, Colorado, Entourage and its parent company, Cannoid LLC, are at the heart of hemp research and manufacturing in the United States. As a brand and a business, it works with a number of admirable philosophies, including making sure that hemp products are not needlessly expensive or contaminated, and that everything is carefully tested for potency and accurately labeled. Entourage also boasts a number of exciting industry firsts. It was the first CBD product manufacturer to offer “seed to shelf” traceability, and the first to create e-liquids (CBD or otherwise) flavored exclusively with botanical terpenoids. With a commitment to clean, potent, and fairly priced products, you know you’re in good hands when you see the Entourage logo. 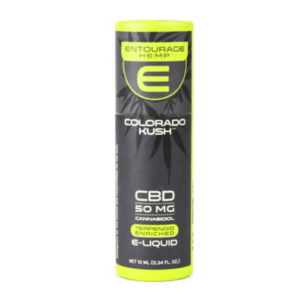 Why Choose Entourage CBD Products? There’s no shortage of choice where Entourage is concerned. With several flavors to choose from, you’ll have the chance to experience the finest CBD vaping session possible. For example, if you’re looking for something spicy, the immensely popular Clove-Flavored CBD E-Juice offers a sharp and exciting twist on run-of-the-mill vape e-liquids. Or if you’re more of a fruit-and-fun kind of person, the Limoncello CBD Oil for Vape Pens is the zesty boost you’ve been waiting for. Finally, if you enjoy the simple things, a natural flavor like the Colorado Kush CBD-Infused E-Liquid could be right up your alley. 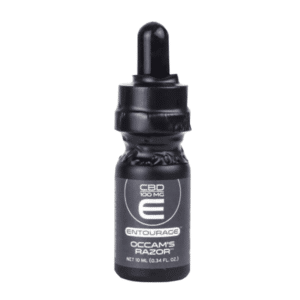 Entourage also produces Occam’s Razor Hemp E-Liquid, a pure, unflavored vape liquid, perfect for mixing with your favorite flavors. With so many options, you can always try something new and experiment with different levels of CBD content. Some Entourage vape oils contain 50 milligrams per bottle, while others contain a stronger 100 milligrams—ideal for more experienced customers. There are plenty of reasons why you might want to buy CBD vape oils, but why should you buy your next Entourage product online? Remember: If you’re pregnant, lactating, or suffering from a serious illness, ask your physician before taking any supplements, applying topical oils or ointments, or changing your diet in any significant way. Also, remember to keep your Entourage CBD vape oil in a dry and cool place, out of the reach of children and pets. 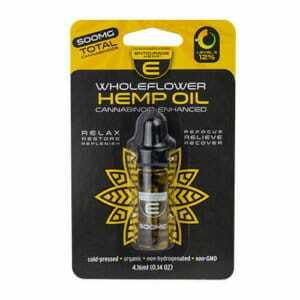 Our mission here at Healthy Hemp Oil is to become the most consumer-focused provider of CBD vape oils available online. As such, we’re committed to researching and sharing the latest objective information regarding CBD and its potential benefits, including recent scientific studies. 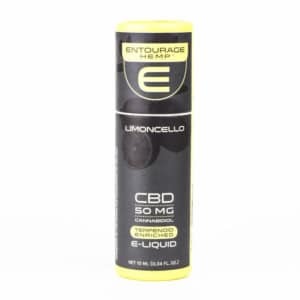 This attention to detail extends to our carefully curated selection of CBD vape oils, such as the Entourage Limoncello CBD Oil. It’s incredibly important to us that you feel confident in your next CBD purchase, and if you’re ever unsure about anything related to CBD, our friendly and knowledgeable support team are only a click away. 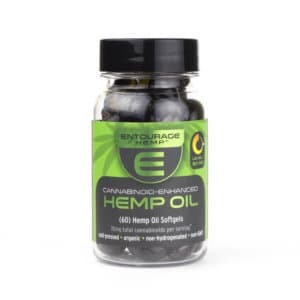 Check out our range of Entourage CBD products for sale, or get in touch if you have any questions.